Allow me to present you with an exceptional promotional opportunity - a unique means of directly targeting the local Jewish audience while also contributing to the preservation of Jewish culture and customs among the members of our community. By advertising in the upcoming Issaquah Jewish Community Calendar, you can accomplish all of the above. Unlike ads in the local newspaper which have a very short life-span, the colorful and informative Jewish Community Calendar will be viewed by potential customers the whole year round, thus providing maximum return for your dollar. The Calendar is chock full of exciting holiday information, educational messages, Shabbat candle-lighting times, and an array of beautiful thematic Jewish artwork. It is displayed in homes and offices throughout the local Jewish community; insuring optimum visibility for your product or service. 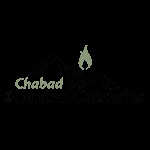 Additionally, by advertising with us, you are taking an active role in advancing Judaism in the Issaquah Sammamish area, which in turn is bound to elicit a positive response from members of the local community. Don’t own a business in the area? Consider sponsoring a personalized “Shana Tova” wish or a tribute in honor of a special occasion. You may also dedicate specific dates on our calendar in honor of a birthday, Bar-Mitzvah, or Yartzeit. Donations are tax-deductible.